The Windows operating system displays the Open With dialog when a user clicks on a file that has an unregistered file extension. The Open With dialog in theory should display programs installed on the system that might be able to open the file on the computer. It also includes a browse option to pick a program from the computer manually, which can be handy for portable applications or programs that Windows has not included in the listing. Sometimes no program is displayed at all, which leaves the user with no other choice than to search the Internet for a suitable program to open the file type. 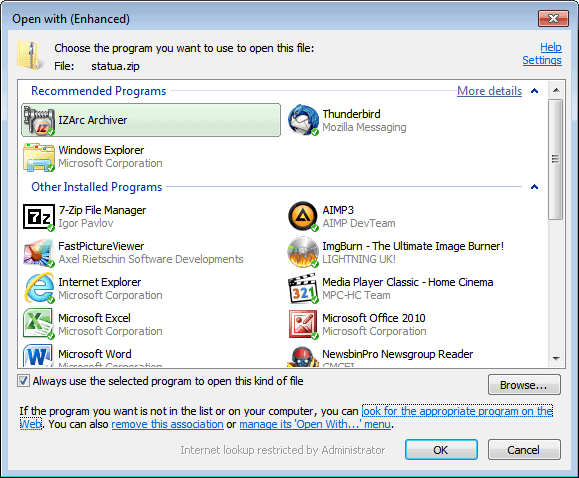 OpenWith Enhanced improves the Windows Open With dialog. The program is compatible with all recent versions of the Windows operating system. Once installed, it turns the Open With dialog into a more user friendly version. The program uses a program association database that is constantly updated to suggest applications that can be used to open the selected file in the Windows operating system. Installed programs are displayed with different backgrounds than programs that are not installed. 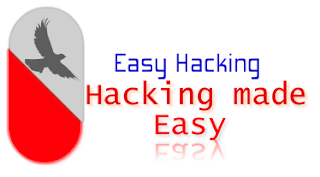 A click on a program that is suggested but not installed will open the program’s home page on the Internet from where it can be downloaded to the local PC. That’s handy for users who have no idea which program they need to open a specific file type, and users who would like to try out alternatives to programs already available on the system. The program options are displayed with a click on Settings. Here it is possible to change the application backgrounds and label colors, the way programs are displayed in the Open With dialog, the sending of anonymous usage statistics and if the program should check for updates regularly. Another interesting option is the ability to remove file associations for users on the system, and to remove Open With menu entries in Windows Explorer to clean up the context menu of Window’s native file management tool. Lastly, a click on “look for the appropriate program on the Web” opens the OpenWith Enhanced database on the Internet. Windows users can download OpenWith Enhanced from the developer website.